Kid's wooden chair with star cut-out on the backrest, lacquered in white. Measurements: 31 x 31 x 60 cm. 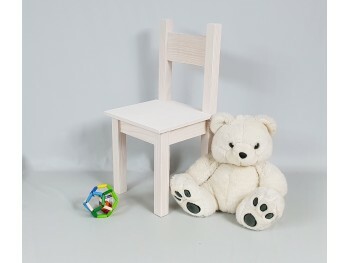 Children's wooden chair in white with natural seat. Ideal for boys and girls from one and a half to six / seven years, depending on the weight and size of each child. Measures 35 x 35 x 60 cm. 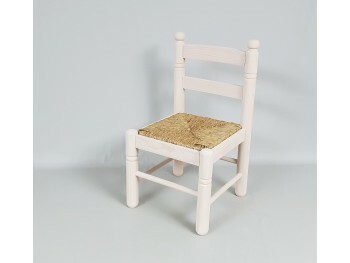 Children's wooden chair in white with square legs and backrest. Ideal for boys and girls from a year and a half to six / seven years Measures 30 x 30 x 60 cm.